Galway East Tourism - Mountbellew Golf Club in East Galway, West of Ireland.Galway East Tourism - Mountbellew Golf Club in East Galway, West of Ireland. 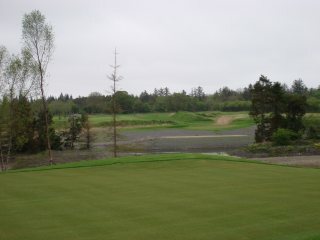 Mature parkland course in the heart of east County Galway. Mountbellew Golf Club is a mature parkland course, set in beautiful east Galway countryside. It is a testing 9 hole course, which is currently being extended to 18 holes - with completion due in autumn 2008. The true, undulating greens are one of the features of this course, which offers a fun test for all standards of golfer. Visitors are welcome throughout the week, and there are regular Open Competitions during the year.